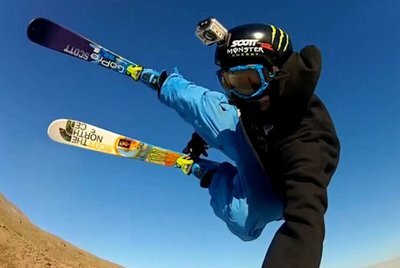 Ok life changing might be a stretch but does anybody have an edit that changed your perception of skiing or the way that you approach skiing? This segment by matchstick blew my mind when I was first getting into skiing. Before this I had never really seen more than guys in parks in the Midwest. JP Auclair's Street Segment from All.I.Can. I remember my buddy sent me this in 8th grade cause we use to joke around with gorilla steeze and afterbang while skiing. Really opened my eyes to how unique skiing can be. The Candide Kamera edits always get me so hyped to go ski. https://www.newschoolers.com/videos/watch/631123/Tom-Wallisch-Superunknown-V-Winning-VideoFirst edit I ever saw. I snowboarded at the time. This literally changed my life. All.I.Can for Auclair's segment was the first video that got me into skiing park, but Stept showed me how I wanted to ski and changed my perception of skiing forever. At a subconscious level I think it influences how I ski more than anything. Big Mountain: I'm old… Brant Moles in TGR's Harvest, (I think) skiing Valdez AK on fat skis with speed like only snowboarders did back then. honorable mention: Jullian Carr in Echo, There's a ticker that keeps track of the amount of vertical he drops. So so huge. There's something about this, that completely fucks me up every single time without fail. jlens05 There's something about this, that completely fucks me up every single time without fail. Junction133 edits got me addicted to skiing. Steele Spence and Vanulars segments in Long Story Short changed the way I look at skiing natural terrain. Maybe CRJ and Tanner in the movie before Yearbook. One of the first GoPro videos that came out many years back, featuring Wallisch... think it was on Mt. Hood. Still haven't achieved it yet, just haven't had the opportunity to properly get into freestyle. Fml. along with bc backcountry by nimbus, 4bi9 gets aspen, dirt from eheath, b team hits bittersweet, and the snowcieties michigan edit that showed either IF3 is rigged or nobody has any idea what they are looking at, this is some kind of starter pack. There was a Vermont Open QP edit which I recall had Duncan Adams and Alex Schlopy in it, probably 2005ish that I watched every day for a while because it would stream fairly well on dial-up internet. It was the first time I remember watching a video on the internet with big tricks. Saw this right after I finished racing and it honestly changed the way I saw skiing. So good. I really liked the nimbus crew when I first got into skiing and Sean pettits the way I see it and in deep segments. those always get me stoked to go skiing to this day. ThaLorax Steele Spence and Vanulars segments in Long Story Short changed the way I look at skiing natural terrain. Maybe CRJ and Tanner in the movie before Yearbook. The Few Words movie changed a lot for me. It was a real eye opener. Even the one of those days edits just helped me a bunch to get motivated. 100% JP Auclair's Street Segment from All.I.Can. Was the first non-Warren Miller Ski movie I ever bought too. Tanner Hall in Happy Dayz and honestly, Candide Thovex's video that came with the first Rossi scratches. OH and Martinis edit way back at Breck forget what its called but it was dope as hell. first time i saw the true potential of park skiing. mr-mcsteeze JP Auclair's Street Segment from All.I.Can. Unrailistic made my jaw drop all the way to the floor. Such a cool edit. Not sure if it changed my life, but one of my favorite edits I always go back to and the reason that I will some day ski Japan, and Nimbus in general changed the way I approached skiing. I came here to comment the same thing, and there ya go it was the very first response. JPs segment changed how i looked at skiing and ski films. Sherpa Cinemas was incredible at cinematography, and perfectly synced to LCD soundsystem. I watched it on repeat when in came out. I can't find the youtube video that opened my eyes to freeskiing, many many years ago. It was a trailer for a ski movie... the only person that I can remember from the clips/names is Simon Dumont. I bet JP and like Sage Cattabriga-Alosa were in it too. The beginning scene was a dude in the woods wearing an orange ski suit, disappearing behind the trees and then reappearing via some like 2005 era editing. There was a switch backlip (maybe it was dub switch back) on a massive step down in that trailer too. Does anyone know what movie this is from? That trailer blew me away as a freshman in high school that knew nothing about freeskiing. Idea. Still one of the best. Opened up a whole new world of skiing at a time when I was an 85mm-underfoot carving ski squid, who didn't know that skiing pow, shooting photos, or making videos could be a career. First time I watched it—and every time after that—was literally the pivotal moment that set me on the trajectory I've followed for the last 10 years, and I probably wouldn't be who I am today if I didn't get a copy of that DVD on the recommendation of the some ski shop guy in Porters, in Tahoe City. He said it would change my life, and also gave me a copy of the "K2 Skeeze" magazine with a sequence of Seth Morrison doing a massive double front flip on the cover, and an interview with Pollard, Fujas, and Mahre inside. This is so real. My neighbor showed me that segment and it changed the game. Ski edits weren't just about skiing after that. The walk in the park/new era/after dark segments from Adam Delorme. I think I've watched those a combined 1,000 times no joke. Possibly THE most stylish park lap of all time.